Pre Order this FAST selling book NOW! SOLD OUT in less than a month! 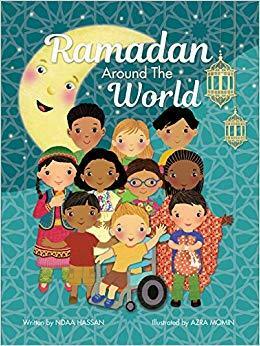 As the moon visits each country, a wide range of cultural customs, dishes, traditional wear and key Ramadan spiritual practices are introduced to the reader. The young reader will be swept away with the bright colors and relatable content and also enjoy this journey of travel, discovery and learning. Staying true to the authenticity of each culture and capturing their celebrations with attention to detail was important both in the writing and illustrating of this book.